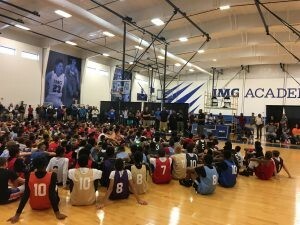 This weekend, the 2016 4th annual Best of the Best Showcase allured some of the best middle school players around the State of Florida. We were able to watch 5th-8th grade Boys and Girls perform and compete. Here’s a few that stood out from each division. OT Delancy, 2021 6’3″ SG (Thurgood Marshall): This is our 2nd viewing of Delancy and he continues to keep us impressed. He maneuvers well with his strong frame and displays a scorers attitude. 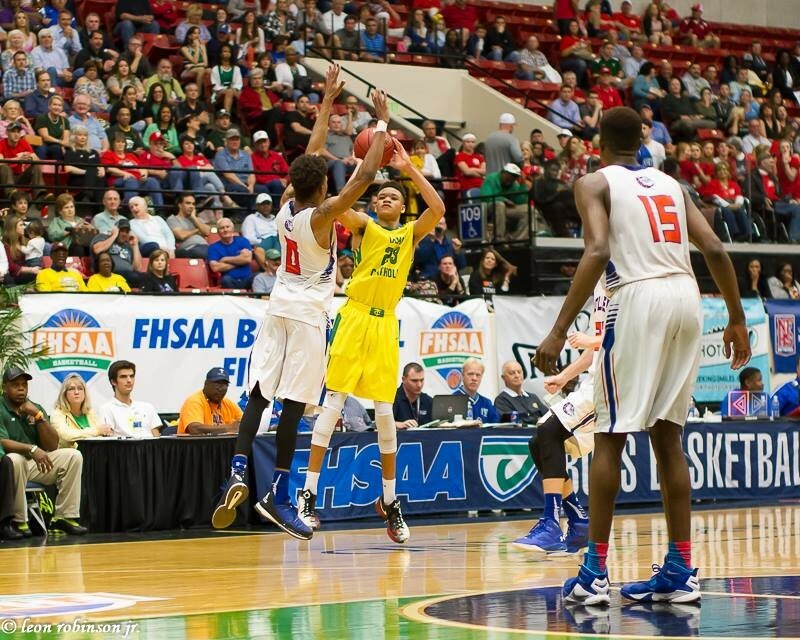 Look for Delancy to keep developing his leaping abilities at the basket as he gets to the HS level. Ahmad Watkins, 2021 6’2″ SG (St. Micheals MS): Really think he will be a sleeper prospect, he made plays within his abilities and showed his capabilities to finish at the rim. Watkins displays unexpected leaping abilities at times. Look for Waktins to become a name to remember. Camden Easley, 2021 6’6″ PF (Discovery MS): Maybe the best prospect in the gym because of his size, lenght and wingspan and his visual presence. Easley is 6’6″ and still growing, he finishes around the rim, contest shots has a weak side defender and shows he understands movement without the ball. Easley a definite player to watch. Charles Crews, 2021 SG (Burnett MS): The lefty can score in different ways which was extremely impressive to us. Crews went on a 3 pt shooting episode as we watch one game and we estimate he made 9 3pt baskets in one game. He demonstrates range in his shot and knows how to use a variety of dribble moves to pass defenders to get a effective floater off. Love his game and we will continue to watch him in HS. 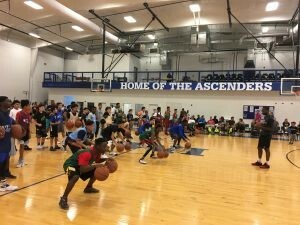 Michael James, 2021 SF (Change of Lakes MS): A player who processes a good motor offensively. Physically can dominant his age group but lacks consistency in his perimeter shooting. Overall, he’s a player to keep watch for in the future. 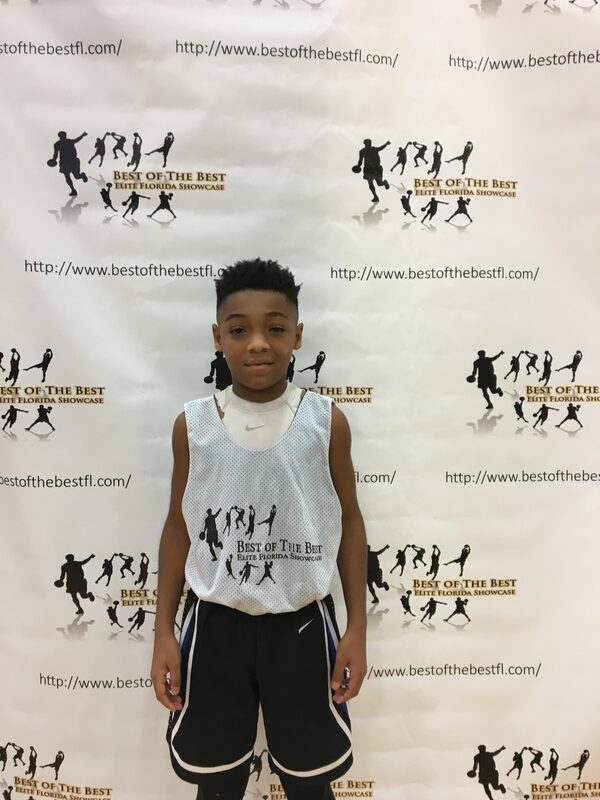 Raymond Perry III, 2021 5’8″ PG (John Hopkins MS): One of the strongest and most physical PG’s in the gym. Perry bull dosed his way through traffic, should good vision and the ability to lead a team. With some improvement in the shooting area, Perry will be a player to keep an eye on. Jordan Shorter, 2021 SG (Westwood Christian: Stood out as a player who took advantage of opportunities. Shorter was able to penetrate into the paint using his frame and showed a promising jump shot as well. He shocked us with a explosive dunk which keep our attention. Reece Randolph, 2024 5’0″ PG (St. Mary’s Cathedral School): Arguably the most skilled player in his division, his creativity with the ball was innovating and ability to get shots off was impressive. Wish we could speed up time so we can see how the young fella will look now! 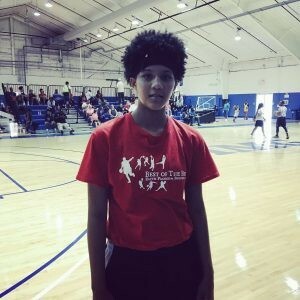 Tynan Becker, 2023 5’7″ SG (Woodland MS): A well composed player with a quite competitive edge. Becker can start transition off his offensive rebounding capabilities. He displays a developed shooting stroke, can see the floor and dribbles through traffic which really caught our attention. Becker should work on taking more control of games at times. Malachi Hampton, 2023 5’6″ G (Lockhart): A silky player when he has the ball, blows past defenders and uses his dribble to freeze players when needed. Showed his athleticism and IQ but needs to work on decision making. 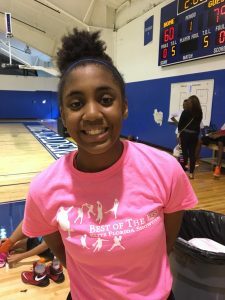 Paris Picket, 2022 6’1″ F (Robinswood MS): While her game is still developing she is a prospect. Picket is still raw but talented, she has qualities of a stretch 4. She has a smooth lefty shot for her size and will finish around the rim. Olivia Delancy, 2022 5’11” SG (Thurgood Marshall): No question she was the best athlete in the gym, plays both ends, showed a good pull up shot however must learn to stay out of foul trouble in blocking situations. 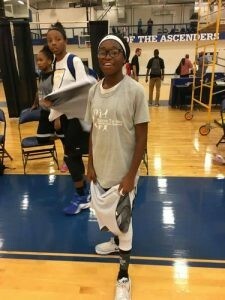 Shadaria Smith, 2021 5’2″ PG (Gotha MS): Plays with no fear, gets to the basket and will play both ends of the floor. Smith sometimes can get erratic but she plays with energy and gives effort.